When you make the decision to build your own home the last thing you want is a cookie cutter home. You want something which exhibits your own style and personality. It can start off with a basic style similar to someone else’s home, but you will want your new home design to be unique. New house planning, especially when you want something special, requires working with a company who are specialists in house design services with a focus on the home buyer. You need someone who hears and understands your ideas clearly and can translate them into the construction drawings the builder will use to create your home. You may not even have a clear idea of exactly what you want in your home. Ideally you want to work with a company which can present you with basic start design starting blocks to get your ideas flowing. They will ask you questions about how you plan to use your house, your family, and what your general interests are. This helps them to recommend placement of bedrooms, number of bathrooms, and other big and small details which can take the new house design and turn it into a home you love. Getting house design quotes from a leading drafting firm in Sunshine Coast can be accomplished for free. The well-known drafting services team at Drafting Concepts Pty Ltd offers a free quote service and gets the quote back to you within 48 hours. This is the time when you will be able to present your ideas and be questioned about your dreams. The drafting team then reviews your ideas and gives you an estimate on what it will cost to take your ideas and translate them to construction drawings which can be used to acquire permits and get construction started. 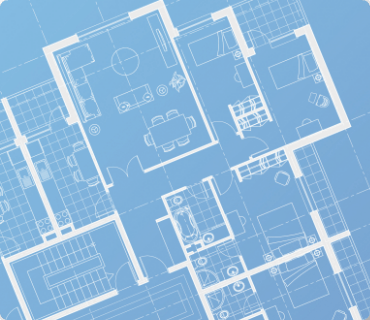 An item which is often overlooked by home buyers as they begin new house planning is the affect of local regulations on the home they can build. The size of your lot partially determines the size you home can be, but you must take into consideration the easement and setbacks required in your community. These may be items you are not familiar with, but you can trust professionals like Drafting Concepts with years of house design services experience know these details. They deal with city councils, the permit offices, inspectors, and builders in almost every community around Brisbane and Sunshine Coast. They keep up to date on the latest changes to make sure any home they design meets local rules. It is not enough to just keep up on the rules set forth in Queensland. The team working on your home design needs to stay up to date on local rules in Brisbane, Sunshine Coast, Southport, Forest Lake, Helensvale, and all of the other area communities. Each city council can set their own rules, which are sometimes made even stricter by real estate developments and home owners’ associations. Working with a team who takes all of those details into consideration from the start of your conversations will save you time and aggravation. 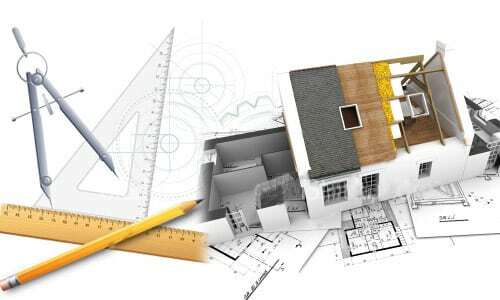 A phase of home design which is largely ignored by most home buyers is the list of construction materials. You probably are focused on the cosmetic features of exterior siding, window treatments, wall colors, and other visually pleasing items. The house design services team needs to focus on elements of construction. They will give you insights into the advantages of different types of lumber, steel studs, a variety of choices in siding types, electrical components, and guide you on choosing the right materials for plumbing. These are items you probably do not want to focus on, but are more critical to the success of the construction and the durability of your home. It is these structural elements which make it a necessity to stick with a company who understands how to create a solid, functional, and cost effective home. This is one area where Drafting Concepts Pty Ltd stands out from other companies. Daryl Wood has years of experience in carpentry and the construction supply business. He uses the knowledge gained from those years to create every new house design to be durable and stay within the home buyer’s budget. His understanding of materials to allows evaluation of alternatives which can save you money while still creating the highest quality home possible. Other factors which will come up quickly during the design of your new home will include questions about landscaping, drainage, fire hazards, and other items which are easy to ignore unless you have someone guiding you while developing your plans. What special items would make your new home complete? Have you thought through all of the details? Do you want to have a spiral staircase between floors? What about a deck on the outside of the home? Think about all of those details and make sure the designer is aware of them. It is always better to get them in the initial plans right away to you only need one set of permits and the cost of a single set of drawings. Ask Daryl Wood or his team from Drafting Concepts Pty Ltd how much difference it will cost to add those added features to your construction drawings. It is always cheaper to have the extra features included in the drawing right away than to pay for changes or additional drawings in the future. If you plan to have the features added to your home it is a necessity to include them in the drawings. Without them you will not be able to get your permits approved and ready for construction. To make your dreams for a new home come true you should start off getting house design quotes from a reputable draftsman in your area. 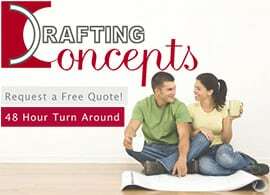 Drafting Concepts Pty Ltd can give you a free new house design quote in less than 48 hours. You just need to supply the vision and the dreams. They will take care of preparing your dreams for construction.